After delays and missed promises, it looks like Google's dream of a building its own modular phone might finally be dead. A new report says that Google is attempting to streamline its newly created hardware division and Project Ara has been slated to be cancelled, despite Google's announcements on the matter from just 3 months ago. At Google I/O in May, Google announced hardware partners and promised a developer version of the Project Ara phone coming this fall. But, with fall slated to start in just a few weeks and the latest rumors claiming Google will announce two Pixel phones on October 4th, word has it that Google has cancelled its plans to release a Project Ara phone. In a strange wrinkle to the story, Google might not be abandoning the idea completely though. Supposedly, Google might still work with hardware partners in order to bring Project Ara tech to market. Google had reportedly wanted to have the modular hardware work for more than just phones and be a part of the Internet of Things revolution, so it would make sense that Google could license the tech and try to help others bring it to market. However, without an actual phone from Google to push the tech, it's hard to say how likely it will be to survive. 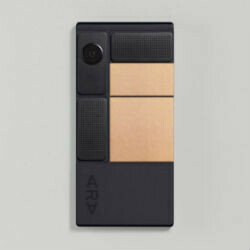 It's been a long, promise-filled road for Project Ara, but we had heard that even the original designer of Phonebloks, which became Ara, was disappointed with the more limited customization options Google planned for Ara. So, this could ultimately unshackle Ara to be the fully customizable option that we had originally dreamed it could be. When it's too good to be true it normally is. Still hope to see it someday. I think if something like this is going to be attempted again. Then I would go with fiber optics for the data bus instead of using copper wires with gold contacts. Only use wires for power only. The other problem with wires and the exposed metal pins is interference when trying to make the bus communicate at high speeds. You don't get outside interference with fiber optics. Plus data speeds would be much faster with fiber optics than wires. If they would have started with fiber optics in the first place, then they would not be abandoning project Ara right now. I also think that the Moto Z had a little to do with it as well. Since it seems to work well with its modules. There is even a Raspberry Pi module. You can also buy a developer mod from Motorola that lets you install almost anything you want on it. Only dumb people use ios ,those who need special guidelines from their godfather Apple. The only great thing about Apple is their A'x' processors. WTF are you even talking about in relation to my comment? He likes to troll something off-topic every time. What a childish and thirsty for green thumb. So give me one. Please! Google glass and project ara are two examples of why Apple keeps their prototypes secret. ^This. It's like sending nudes to a women you've just started dating........keep that s**t on the DL until you know it's all good :D.
Its OK. I don't mind if Google share what they are doing even if they don't bring them to the market. I am not disappointed so i am surprise the iOS camp need to do all the disappointment speech for us. I appreciate what i can have and let go what i can't. lol, apple keep it secret because it's easier for them to sue anyone who try to copy their pathetic design/innovation. Same goes to their patent eventho they never release a real product. Well if the Moto Z series is anything to go by, we need to approach modularity in steps. Much like how smartphones progressed in steps. We went from gray-green dot matrix, to resistive TFT, VGA, then to sliders, flip-phones (Japan), and eventually phone-tablets that are suitable alternatives to bigger tablets (which Windows rules the turf currently). We need to start from accessories that interact at a deeper level, then we can talk individual core upgrades. I wanted this to be a thing but the whole prospect of different and 'out there' is clearly out of Google's grasp (see Google+, Glass, Orkut, etc.). Windows (Microsoft to be precise) only recently got to 10% of tablets market; that means it doesn't rule there. Except modularity in smartphones already exist and not just in rumor? Product on store shelves versus prototype? Second half life 3 reference in just a few hours.......half life 3 confirmed!!!!!!! Apple does not really think outside the box in terms of design like this so... Effort? At least they will learn from their mistakes, unlike apple that will never experiment with such thing but will try hard to be a patent troll.